It was during my junior year of high school that I realized I had no desire to attend an institute of higher learning to continue my education. That, coupled with the fact I lived in a small logging town in southwest Oregon. Only option available was working in the timber industry, either in the woods setting chokers or pulling green chain in a lumber mill. You always have to start on the bottom. I had set chokers for one summer and knew that I sure in the hell did not want to do that for the rest of my life. Another big influence was I wanted to get out of small town Oregon. My uncle had been in the Navy in the late 50’s and early 60’s and he had showed me his slides. From these I knew there was a big wide wonderful world out there and if I stayed around home, I would never get the chance to see it. So in short, the two biggest influences in me joining the military was travel and to learn a trade. He told me I needed to take a test first. So, I took the Basic Test Battery (BTB) and qualified to be a NUKE. 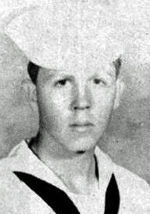 I enlisted in the CACHE program Dec 1972 and left for RTC San Diego, June 14, 1973. After successfully completing boot camp, I attended Basic Electricity and Electronics (preparatory) BEE/P and “A” school from 08/73 to 12/73. About half way through “A” school I decided I didn’t want to be a NUKE anymore so I dropped my grades enough so I didn’t graduate in the upper 2/3rds of my class. 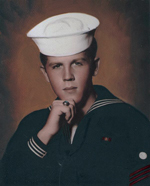 I was then dropped from the NUKE program, but got to keep E-3, and was assigned orders to Submarine School. In March 1974 after graduating Sub School I went to the fleet and went on board my first submarine – USS Bonefish (SS-582). I served on her until Jun 1976 making EM3 while on board and earning my dolphins. 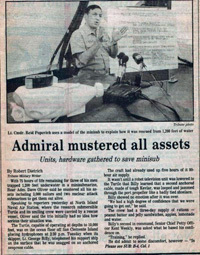 In June 1976, I transferred to the USS Grayback (SS-574), home ported in Subic Bay until Oct 1977, advancing to EM2, at which time I decided to get out of the Navy. I remained out until April 1978 when I re-enlisted and got orders back to the USS Grayback. I was on her again from April 1978 to May 1981. I picked up EM1 on that tour then received orders ashore as a recruiter at NRD Portland, Ore. I stayed there until August 1984 and received orders back to the USS Bonefish (SS-582) and was on her until December 1987. I made Chief, EMC, September 1985. 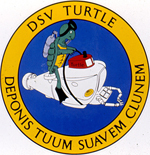 After that tour in Charleston, I transferred to San Diego and DSV Turtle (DSV-3). I made Senior Chief, EMCS, at this command and left for Submarine Training Facility, San Diego in Jun 1991 where I remained until May 1994 when I retired. I did not. Vietnam was winding down in 1974 when I made my first Westpac, I was sitting pier side in Pearl for the Mayaguez incident in 1975, was on recruiting duty for the Libya incursion 1981 and Grenada 1983. In San Diego for Panama 1989, Desert Shield and Desert Storm 1991. I did participate in a spec operation though, but I can’t tell you about it. However, I will tell you that at certain times the “Cold War” was not all that cold. 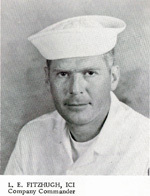 During my career, I was assigned 3 times on diesel electric submarines, (Pearl Harbor, Subic Bay and Charleston). Many fond memories from those duty stations, (Westpac’s, forward deployed, Caribbean trips). I did a tour of recruiting duty and a tour at Submarine Training Facility, San Diego. However, by far, the best duty station for memories has to be Deep Submergence Vehicle TURTLE (DSV-3). This 3+-year tour of duty allowed me to explore the inner reaches of the earth. I have been down to 10,000 feet below the surface of the ocean during a UMI deep dive certification. I have been to over 8600 feet at the East Pacific Rise and have personally seen the subsea volcanic activity that occurs in that area. Assisted in the recovery of numerous aircraft and other naval assets from the ocean bottom. Assisted Wood’s Hole Oceanographic Institute and Scripps Oceanographic Institute along with Monterey Bay Aquarium Research Institute in numerous and widely varied scientific expeditions in the study the oceans. Over the course of a 21-year career there are many memories that stand out, but the one that stands out most vividly, not necessarily the best, is while stationed on Deep Submergence Vehicle TURTLE, being entangle on the sea floor off San Clemente Island in November 1989. We (Dave Deipenhorst, George Billy and I) were stuck on the bottom of the ocean for just under 15 hours. Our job that day was to dive to 1300 feet in Turtle and survey and set up for recovery of a hydrophone array. The cable that was attached to the hydrophone was not lying on the ocean floor, as was the norm. It was floating in the water column and had a giant loop in the cable. After completing the survey and upon ascending from the ocean floor Turtle wound up inside the loop and became stuck. We were unable to extricate ourselves and with help from above were able to maneuver the boat into a position that allowed us to surface. I can tell you from experience that at 1300 feet it gets very cold, very quickly. Enlisted Submarine Warfare Insignia – SUBMARINE DOLPHINS. These mean the world to me. These inducted me into a fraternity of fellow submariners worldwide. It took about 9 months to earn this honor. A person has to know every system on board the submarine, pass an oral exam from 3 qualified people, and complete a walk through of the boat with the engineering officer who can ask you any question about any system on board. You have to pass both of these exams and then and only then are you recommended for qualification in submarines. Harley Davidson t-shirts have a saying on them “If I have to explain, you wouldn’t understand” That is to me, the same as being a submariner. You just cannot understand the pride and accomplishment that went into earning this coveted insignia. My Deep Submergence Pin as well. Very few individuals have gotten to do what I did in deep submergence. There are three Chief’s on board USS Bonefish who took a young kid just reporting aboard, under their wing and showed him what was expected of him and what to expect during his first Westpac. Thank you ENC(SS) Art “Nick” Nichols,QMCS(SS) John Taylor and EMC(SS) Shugi Akazawa. To my XO at Submarine Training Facility, San Diego who went beyond what was required during a time of family crisis. Thank you CDR Tina Erwin. The one who had the biggest impact, however, would have to be my Company Commander in boot camp, IC1 Fitzhugh. He taught us how to be sailors. He was the one who taught me, if you take care of your troops, your troops would take care of you. He taught me many valuable lessons about life in the Navy. Stuff that wasn’t in the course curriculum during boot camp. Things like, what life was really like in the fleet Navy and what to expect. He explained to me it was nothing like boot but to take what we were learning there to heart. His ability to drill this into the thick skull of a young 17-year-old snot nosed kid from small town in Oregon made my time in the Navy enjoyable. After I made Chief, we were underway on USS Bonefish (SS-582). I was standing Engineering Watch Supervisor( EWS) in maneuvering and a new junior officer (JO), who was a royal jerk (read that academy grad, know it all), came through on a pre-watch tour as Junior Officer of the Deck (JOOD). He asked if anything was broken. I told him the MX-993/U was OOC due to a faulty BA-30 power supply. He asks if we, the electricians, were working on it. I told him yes and he departed for the bridge. A little later I heard him call for the Captain and he reported the problem with the MX-993/U and the faulty power supply. The CO asked him what the MX-993/U was and he didn’t know. Shortly after he hung up with the CO, over the 7MC came “Maneuvering, Bridge phone”. I picked up the phone and he asked me what exactly the MX-993/U was. 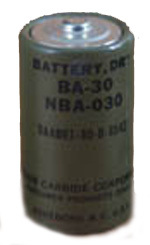 So I told him, “Sir, it is a standard Navy Gray 2 cell flashlight and the BA-30 power supply is a “D” cell battery”. I then hung up. He then waited about 5 minutes, I think he was trying to figure a way out of telling the Ol’ Man he had been had. So anyway after about 5 minutes he calls the CO and reports that the MX-993/U was a standard flashlight. The CO then told him to come see him after he got off watch. After I retired in May 1994, I went right to work for a company following my chosen path as an electrician. I rose from the worker ranks in 1994 to become a foreman in 1998, a manager in 2001 and became a director in April, 2010. I currently have until June 2014 when I can retire again. 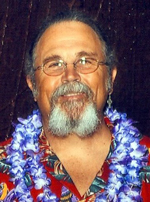 I am a member of the VFW, American Legion and numerous Submarine Veterans organizations (United States Submarine Veterans, Inc (USSVI), International Submariners Association – USA (ISA-USA), Submarines Association Australian (SAA), B-Girl reunion association. With the submarine associations, I derive a camaraderie with fellow submariners from both the US and around the world. It is a way to stay in touch with shipmates and to talk to others who have shared the same experiences, whether they are from England, Australia, Japan or even Russia. The work ethic that I learned and was constantly reinforced while in the service has held me in good stead in the civilian workforce. It has allowed me to stand out from others and earn faster promotions. I will not pontificate and tell you how you should do it. What I will tell you though is to take lots of photos and video. I took quite a few but should have taken more. As you get older, the memories fade but the photos will always be the memory joggers. In addition, your career is your responsibility and yours alone. The decisions you make have to be your own. Do not let someone else tell you what they think are in your best interests. Take their advice but in the end, do your own research and the decision you make will have to be yours. I have had the opportunity to meet new friends and find old shipmates on this site. Some of these shipmates I have not seen or heard from in over 35 years. Truly a great site for meeting new acquaintances and renewing old friendships.